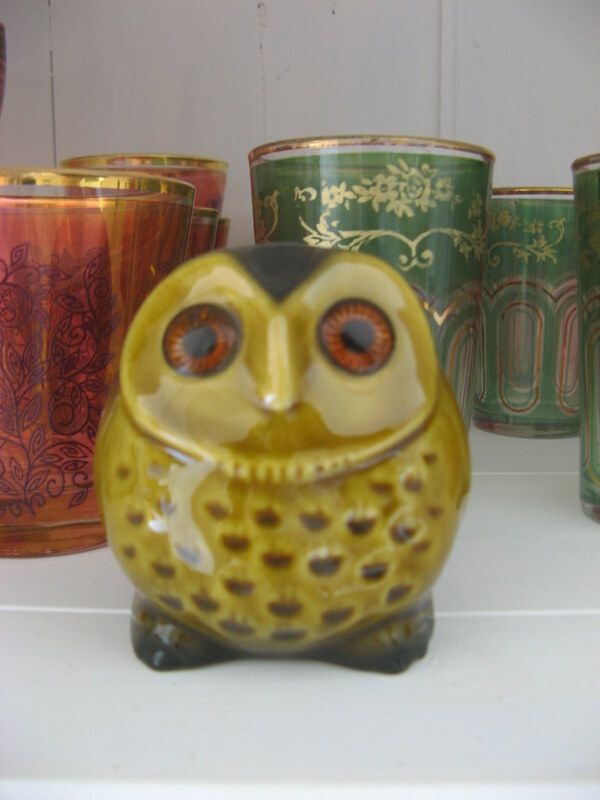 Recently I have become attracted to owls.....I think I may have to steal your collection! 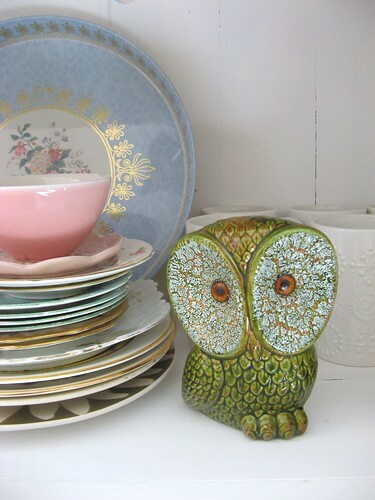 i was just browsing in the vintage section on etsy, after reading your post, and found a cute owl you should check out! he's so sweet, i collect owls too, started off with 2 ornaments passed down to my from my grandma and other half's grandma. would love to see the owl embroidery when its finished. 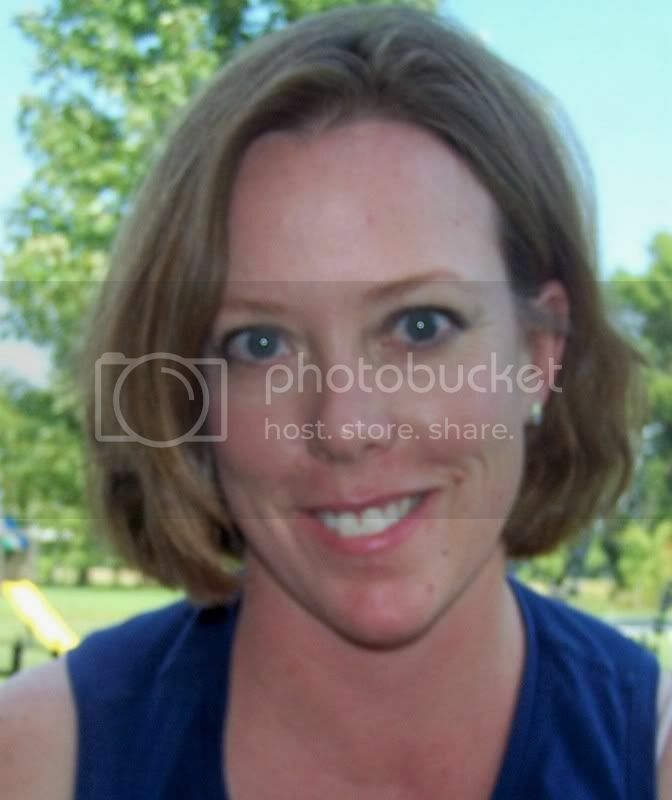 ps, hope you don't mind but i mentioned you on my blog. 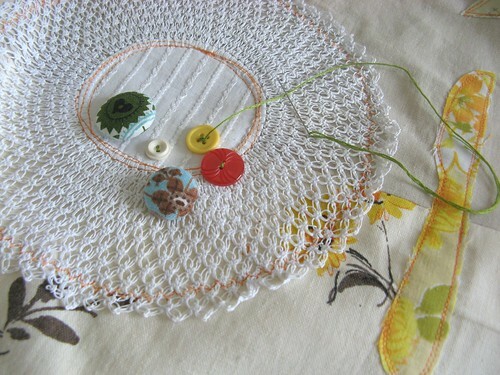 crafting is slow and i cheated and talked about favourite blogs to visit!. What a great find! 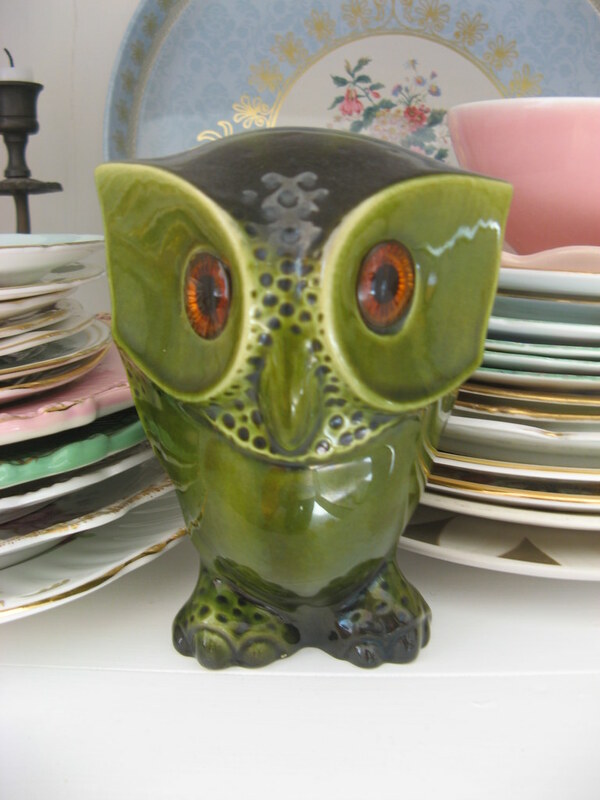 I have yet to see an owl in any of the thrift stores around here... ;) lol. I like the way the inspiration struck--can't wait to see the finished project! 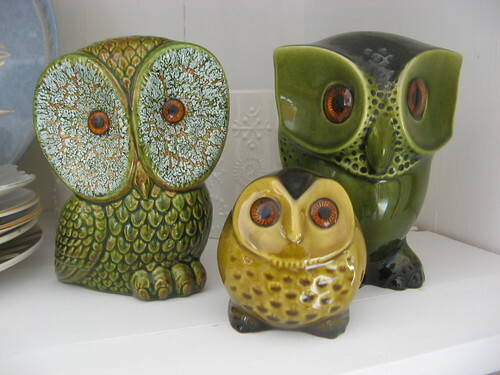 I can't say I've ever really thought about a "ceramic owl with plastic eyes" collection, but once you see them it makes PERFECT SENSE... Now I'm looking at my little owl on my desk at work thinking how said it is that he is neither ceramic or possessing plastic eyes. DARN HIM! LOL! It's really true. One man's trash is another man's treasure! Dottie - I'm a couple years older than you, and in the 70s when I was making candles, I had a mold just like this. But you say he inspires you -- so more power to you! 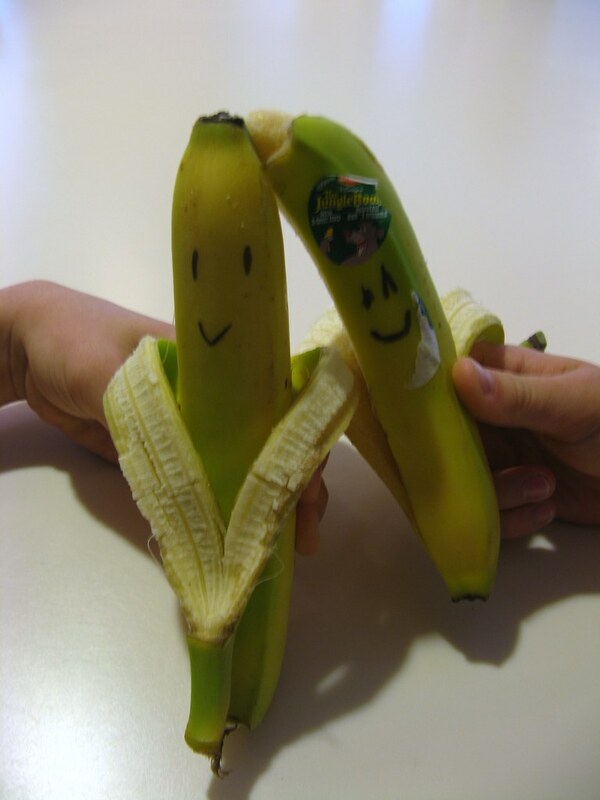 Inspiration can't be scoffed at. p.s. - if you want more owls, please visit my mother-in-law. She has every piece of 70s and 80s merchandise featuring owls ever made. I will probably inheirit it someday and will ship it directly to you. this post makes me so happy. i just love the owls they have so much character. The owls are yust lovely. Just love these owls. also love your blog. then i know i have spent my day wisely"
dottie angel. Powered by Blogger.